Now I'm NAKED and too embarrassed to leave the crayon box. 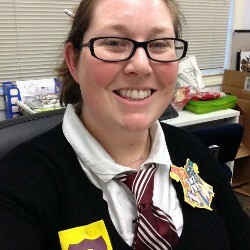 The past few weeks I have been working in the children's department of one of the regional libraries rather than in my own branch. I've had a little time to catch up on my pictures books. 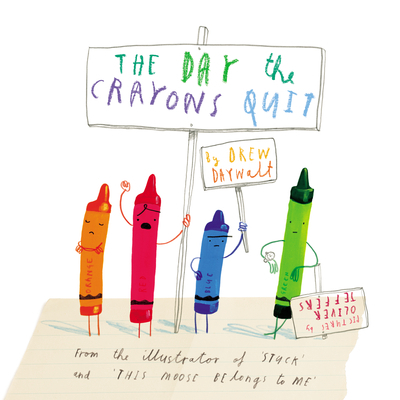 I picked up The Day The Crayons Quit by Drew Daywalt, which was published in June. Wow, what a neat idea. Duncan's crayons are on strike. Turns out they have feelings too! This adorable story is told in letters from each of the colors in the crayon box. Purple seems to be a little obsessive compulsive (who really wants to color inside the lines? ), orange and yellow are in a bit of a tiff, and poor peach...well you'll see. Certainly a good pick for your children, I believe adults will get equal enjoyment out of this picture book. In fact, it is now required reading for my staff.